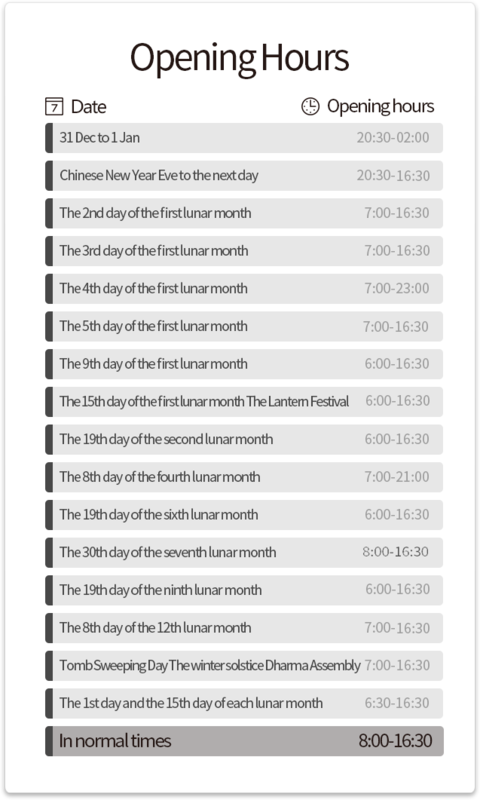 The Reception Hall is dedicated to admit and welcome followers, and handle the registration and arrangement of dharma gathering. 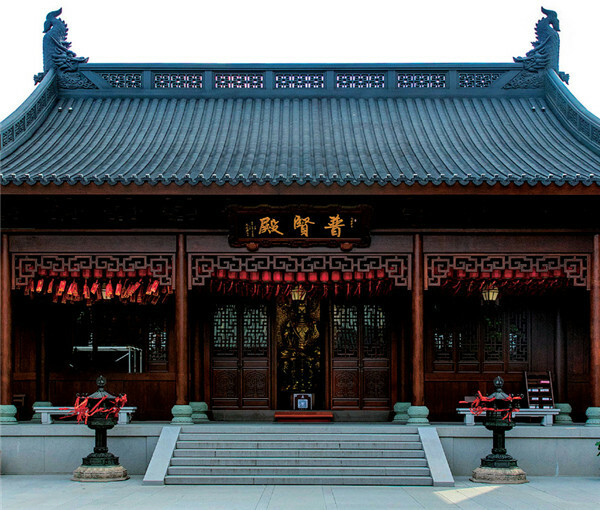 Specifically in the Chinese Buddhist temples, it is common to construct a Bell and Drum Pavilion in front of the Grand Hall. 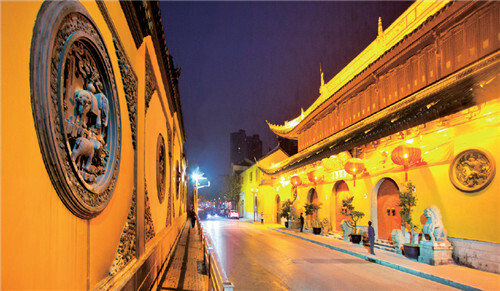 Samgharama means the place where monks live, generally referring to Buddhist temples. 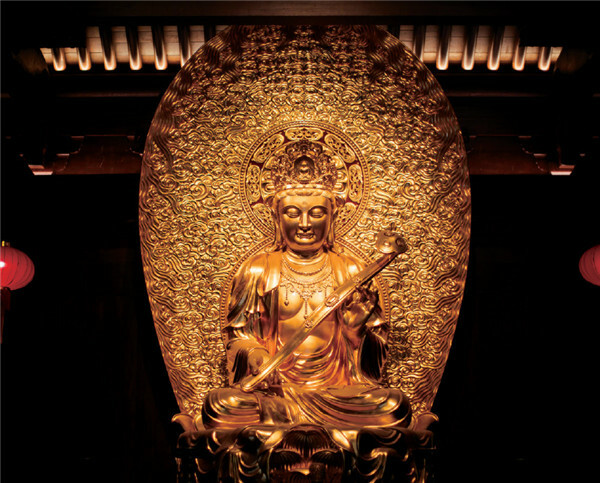 There are many imageries of the Avalokitesvara bodhisattva. 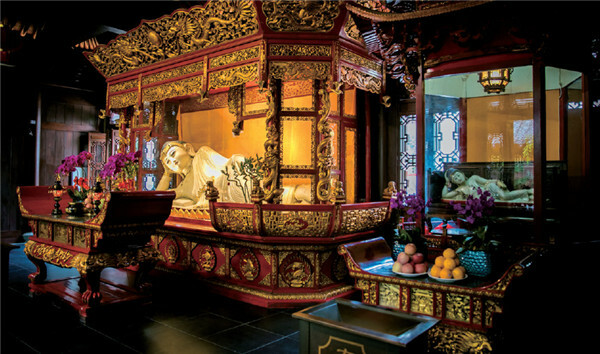 The Reclining Buddha statue is Sakyamuni Buddha, it represents the moment of nirvana of the Sakyamuni Buddha 2500 years ago. 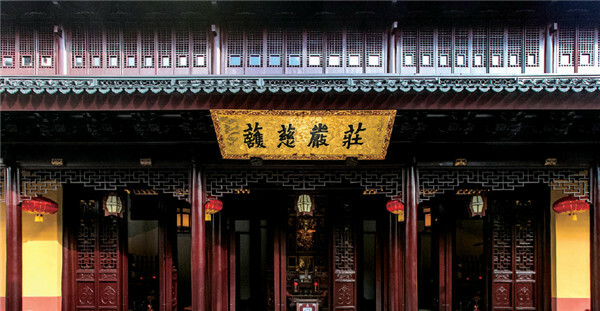 The first side hall on the left is the The Hall of the Holy TTriad. It enshrined three statues. 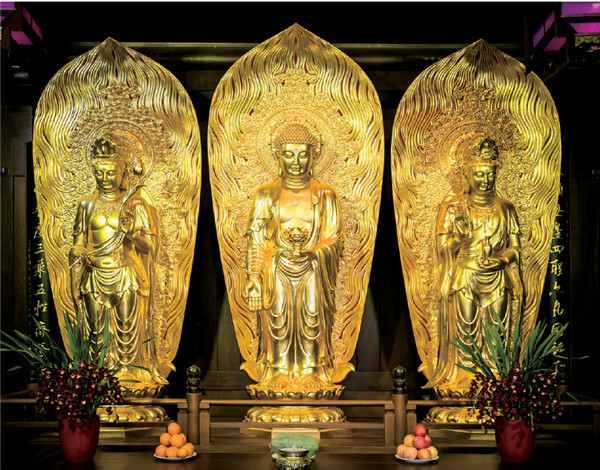 Three in a set in particular is the form of placement specific in Buddhism. 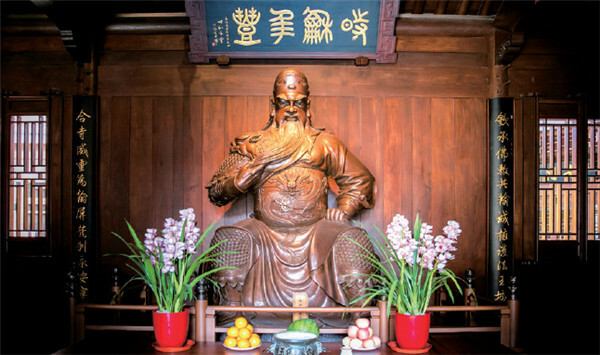 The plaque of the Ksitigarbha Bodhisattva Hall is written by the famous calligrapher Tianheng Han. 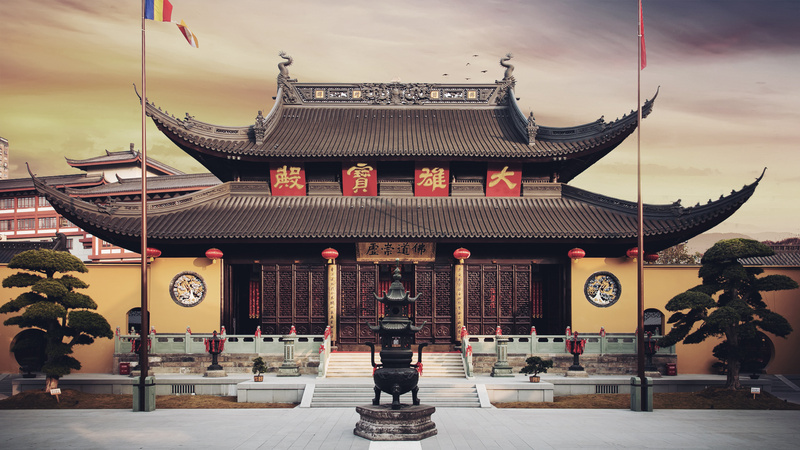 The Manjushri Bodhisattva Hall is located on the east of the Grand hall, just opposite to the Samantabhadra Bodhisattva Hall, the structure resembles the style of Ming-Qing dynasty. 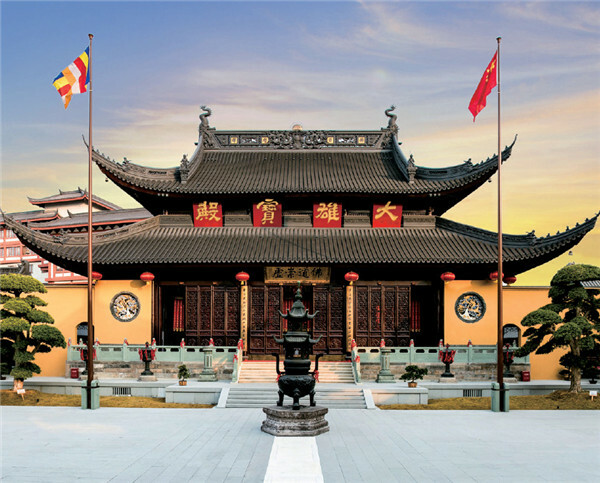 The Samantabhadra Bodhisattva Hall is the largest hall in the western section of the temple. 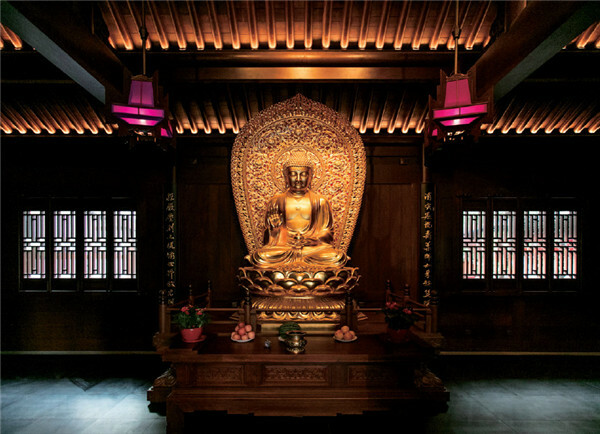 The Medicine Buddha hall is located in the western section of the temple. 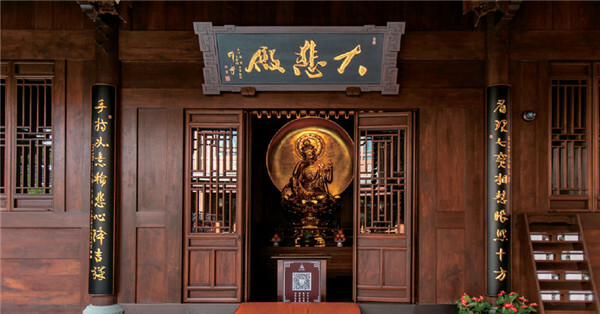 It enshrines the Buhaisajyaguru Buddha, also called medicine Buddha, the Buddha of 12 wills. 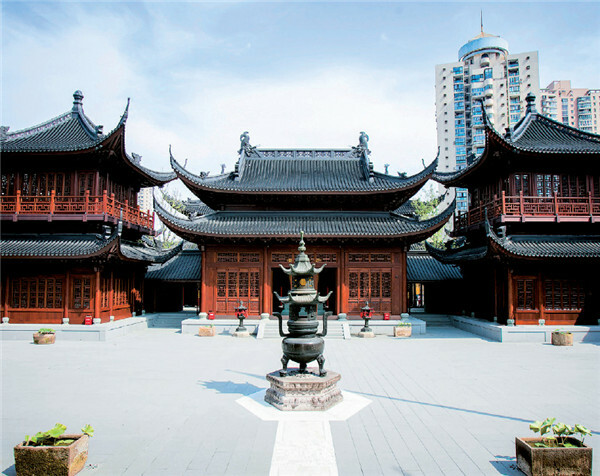 The Great Shrine Hall sits north, and faces south. 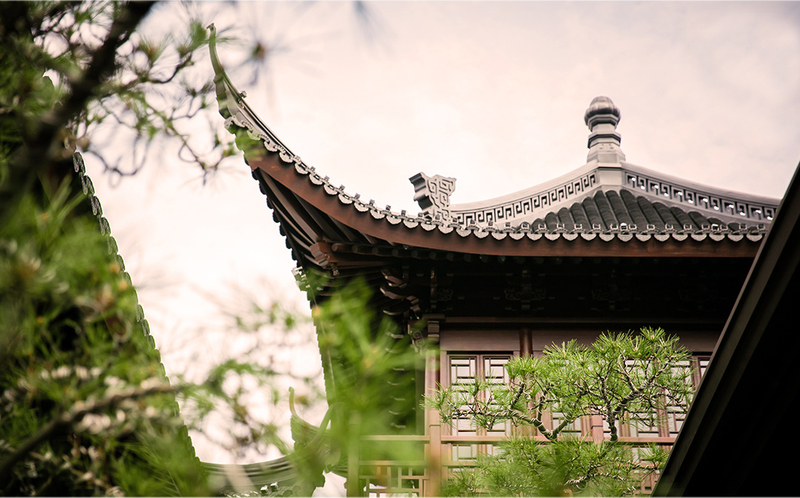 It is constructed with hip-and-gable roof, covered with grey roof tiles. 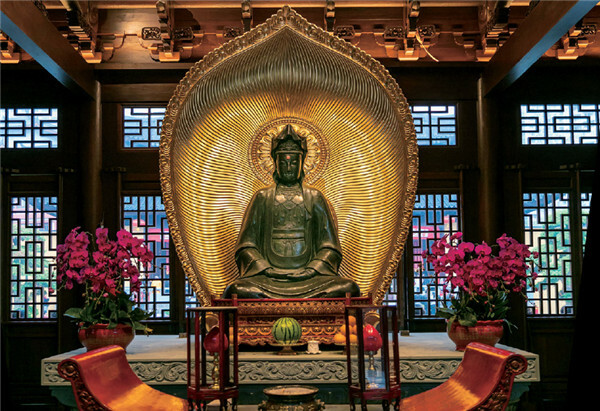 Guan Yin Bodhisattva, or Avalokitesvara has left numerous tales of salvation, adored greatly among people through thousands of years. 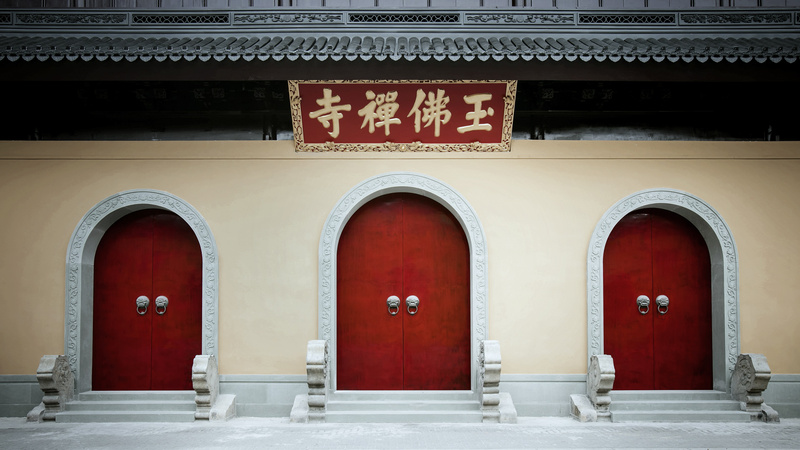 The Heavenly King Hall, is specific to the ChineseBuddhism. 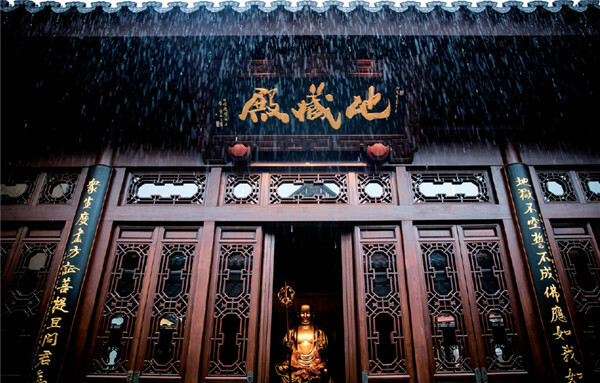 It is named after the four heavenly kings. 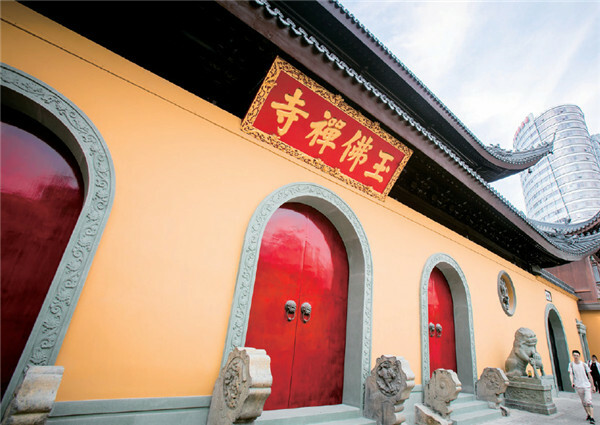 The mountain gate is the front door a temple.Temples used to be constructed in the deep of mountain forest, far away from the rural city, thus getting the name "mountain gate". 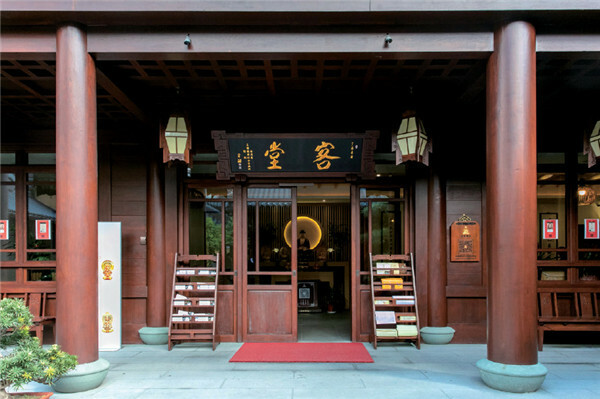 Address：170 AnYuan Road|Zip code200060|Tel：62663668-1233,1234|ICP：19009884|Shanghai Jade Buddha Temple is all rights reserved.